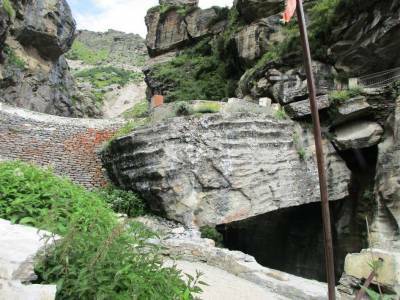 The Bheem Pul is located in the Mana village of Badrinath Town and about 4 kms from Badrinath Temple. It can be easily accessible by the road. 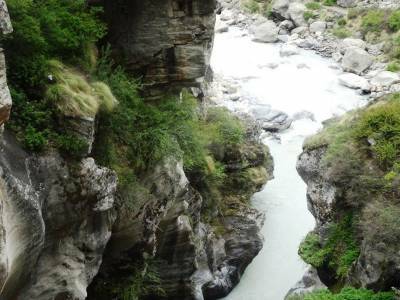 As per the Mythology, When Pandavas were walking for Swarga (heaven), this path was followed, from Badrinath temple to heaven, it’s called SWARGAROHANI and for Draupadi to cross the Saraswati River, Bheem brought this big Shila and placed it above Saraswati stream in such a manner that it became a bridge. This is a single stone and placed perfectly and its shape is such that it would not descend further. 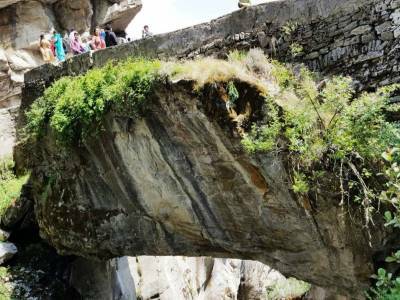 The Bheem have possessed strength of several Elephants and this gigantic piece of rock stands bare witness to such strength. 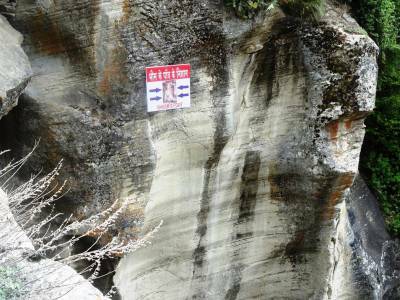 There are marks on the rock that are interpreted as bheema’s fingerprints. People take home holy water from the Saraswati River flowing beneath this Bheem Pul. This place also has its Geographic importance as it happens to be the last village of the Indian subcontinent. The spot is spectacular and there is a shop at this place which is advertised as the last shop of Indian border. Worth a visit. 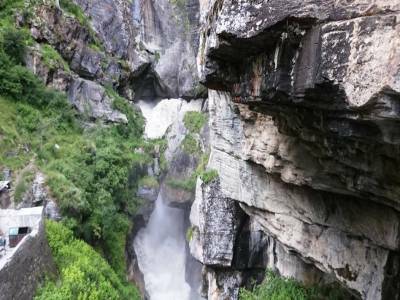 Get quick answers from travelers who visit to Bheem Pul.